Bear is cooking today. Is anyone in the mood for pancakes? Or, maybe you like it a la mode? 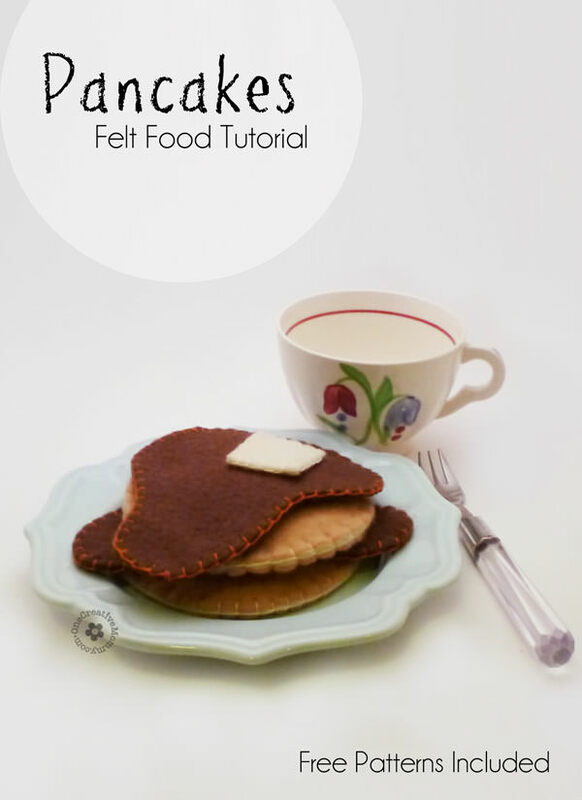 Felt pancakes are “sew” easy! 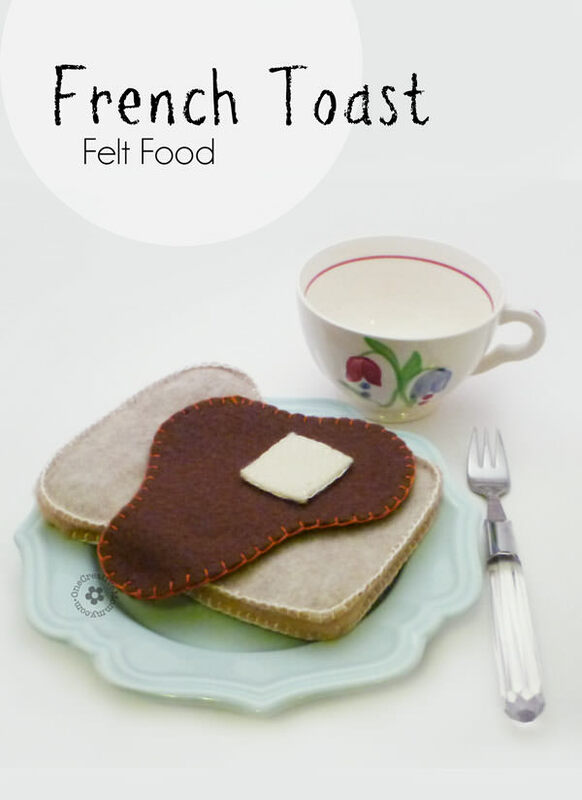 If you are a beginner to creating felt food, this is a great starter project. Trace a roll of masking tape or any small circle for the pancake. Cut it out twice in light brown or tan felt, and once in cream felt. Sandwich the cream circle in between the two light brown circles, and stitch around the outside edge using a blanket or whip stitch. (See this post for links to stitching tutorials.) For the syrup, just draw some blobs. Cut out two of each and stitch together. The butter can be made from cream or yellow, but I think the cream looks more realistic. Be sure to stitch the butter to one of the syrup blobs, or it will quickly be lost. If you want to make French toast, see my sandwich post for a link to where I got my bread pattern, or just trace a slice of bread! 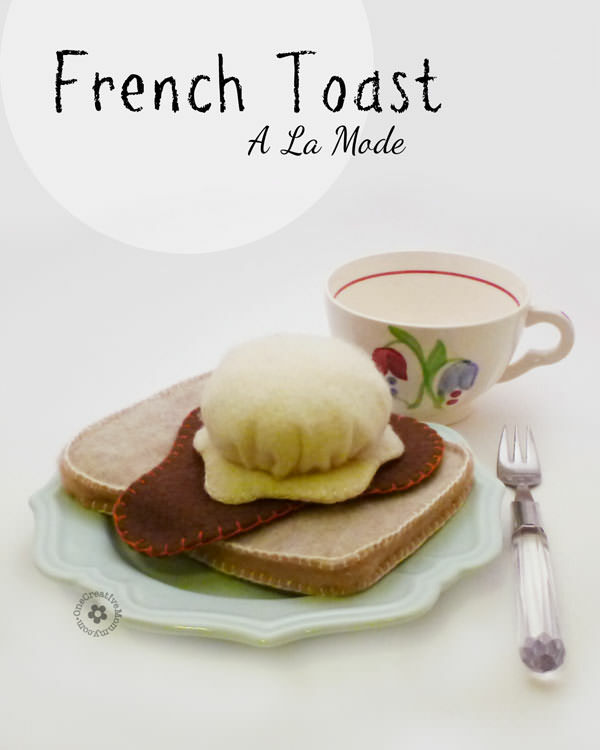 If you’d like French Toast or Pancakes A La Mode, check out my felt ice cream tutorial. For those of you who would rather have a pattern, I’m including one just for you! Click the download image to get it. No time to make your own felt food? Check out some of these fun ready-made felt food products from Amazon.com. Click here to see my other free printables. Thanks so much for sharing at Off the Hook! Thanks so much for sharing. So cute!! Thanks so much for sharing with us at Link It Up Thursday.